10 tracks, 9 songs. Story complete. A bonus track or two coming soon when the album hits iTunes in a few weeks, to justify it’s $10 price tag. A song I wrote titled “101 Days” was supposed to introduce the album, but it was scrapped during the recording process… I realized the lyrics and the theme were a little juvenile and didn’t fit the album too much without compromising it’s point-of-view for late “20-somethings” crowd. It was a “Mom and Dad, I’m moving out” kind of a song and threw it off balance compared to the rest of the songs, in my opinion. Perhaps it’ll be a bonus track in the future. Last night, I recorded the finale, “Payday”. A perfect ending, reflecting the whole album both musically and lyrically. I give a credit to John.M.Thirteen of The Backpackers, who suggested that I drop the drums during the verses of the song, to give spotlight to the lyrics. Thanks dude. Also thanks to my parents for lending their voicemail as an intro to the album. So, I spent a majority of the night doing some final tweaks to songs that needed it. Everything is to perfection. This entry was posted on September 23, 2010 by richy923. 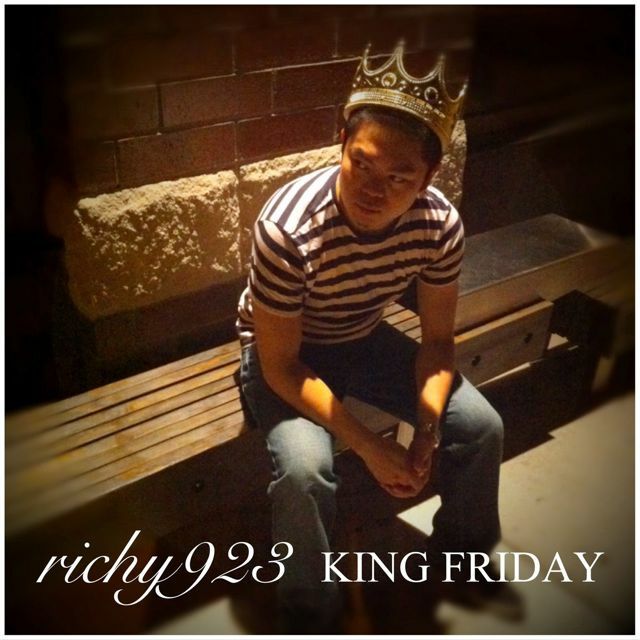 It was filed under Uncategorized and was tagged with kingfriday.